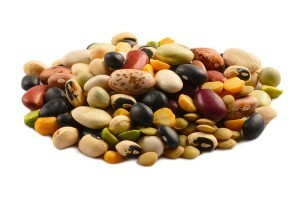 Dried navy beans are an item you should keep on hand for several reasons. This small, cream-colored bean is a powerhouse of nutrients. They are the bean that is typically used in baked bean recipes but their versatility is phenomenal. Their mild flavor doesn't overpower the other ingredients in a recipe. Their dense composition adds texture to soups and stews.